Super Flat Small Black Polarized Need Help? For those who prefer a smaller to medium size fit, the Flat Top Small is Super's exact classic Flat Top model only scaled down in size. 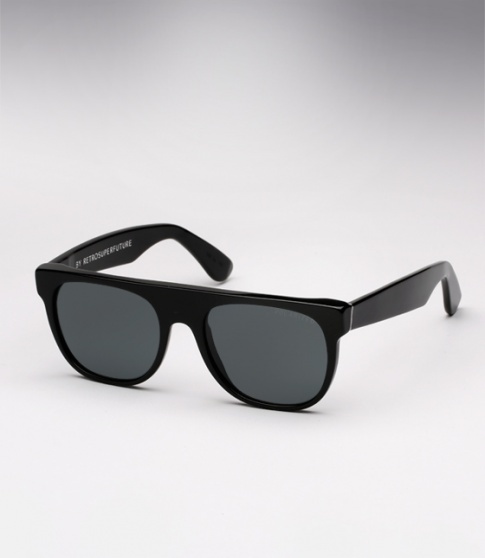 It is offered here with polarized lenses which dramatically reduces the glare off of any reflective surface. Whether it be off of the ocean, the pavement or windshields, with polarized lenses you will experience less eyestrain and fatigue while maximizing your visual clarity.